For over 30 years Judd has been dedicated to creating and building the finest handcrafted saddles, tack and leather accessories in western Colorado and north California. Growing up on a horse and cattle ranch, Judd learned the value of a well-built saddle and the importance of fitting horse and rider. Judd is still involved in the horse and ranching industry, "training cutting horses and raising cattle". His knowledge from experience, combined with his artistry, makes each saddle an original master piece. Every saddle is individually handcrafted by Judd using the finest materials available. This includes the highest quality leather, custom-made trees, brass or stainless steel hardware, and sterling silver trim. The quality craftsmanship and extreme attention to detail is the result of hours of research, practical application and a lifetime as a horseman. Besides his love of making saddles, Judd also designs and makes chaps for show ring, cutting, reining, rodeo and chinks for the ranch. 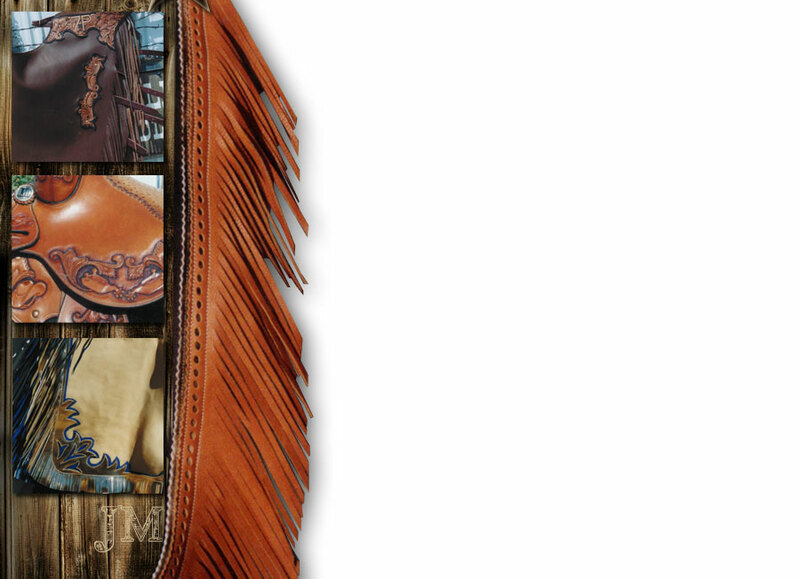 His leather accessories includes headstalls, breastcollars, spurs straps, customized purses, photo albums, datebooks, briefcases, belts, dog collars and special request of all kinds. 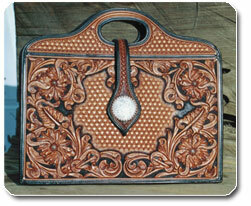 Judd Miller Custom Saddlery is located in Red Bluff, California where it has been for 24 years! 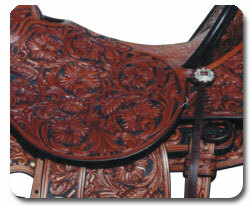 His saddles and leather work have been shipped throughout the United States, Australia and Canada. Judd would be happy to turn your dreams and ideas into a master piece of your very own! Explore the site or feel free to stop by the shop and see first hand why Judd Millers Custom Saddlery sets the standard for everyone else!